You need to read this. We read the bible sometimes as if we were cramming for an exam, only to discover when we glance at the test paper, that we missed key information. As we read the bible we need to keep in mind what else has happened, what else is coming as we focus on the narrative before us. It’s for your benefit and encouragement. Muse over the storyline and ask questions. I love the story of the God-fearing administrator in Ahab’s Palace, but for the sake of the narrative, let’s call it Jezebel’s Palace. Ahab, the seventh King of Israel is looking for Elijah the prophet who has prophesied that there would be no more rain for a while. Three years later, Elijah’s word is still holding solid. It was the real thing. God really had said it, endorsed it and ratified it. But now, with famine ravaging the entire land Ahab and his darling wife have had enough. For some reason Jezebel seems to think that killing the prophets of YHWH is the way to go. As if with the death of the prophets, the rain would come. As it is, the logistical question is immediately considered by Ahab that they need to be careful with their search for Elijah because they need grass and water for the mules. Things had got very, very dire. God had already taken the initiative to send rain again, but before that happened, God had already been at work. What He had been doing is worthy of attention. 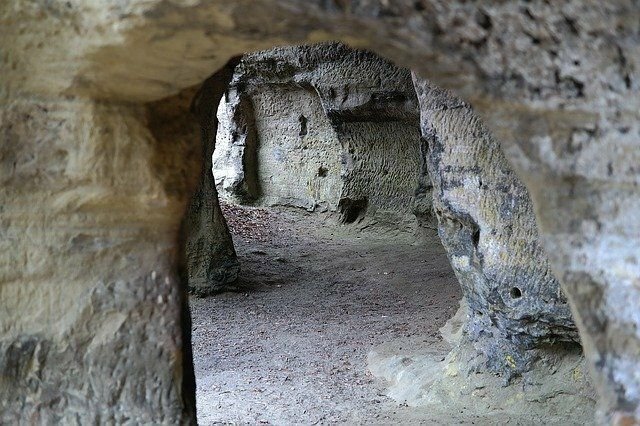 Obadiah, despite working in the Palace, seeing the fits of anger, and hearing the outrage of Jezebel against the authentic prophets of God, had the self-less courage to gather 100 prophets and hide them in two caves, feeding them with bread and water. Contrasted with that, Jezebel has no problem, and is at peace with the four hundred and fifty prophets of Baal and the four hundred prophets of Asherah, who eat at her table. Meanwhile, for the prophets hiding in the cave(s) three things become quickly apparent. These are important things, and they are important to you because they affect you. You face daily challenges, maybe not as threatening as Jezebel, but the control of Jezebel in its various forms in our day and age simply must not be tolerated. Even when it comes from friends, and dresses itself with the appearance of grace. True grace always gives room for choice and without you having to justify yourself. Grace gives us the desire to love God, serve God and walk in righteousness in an open pursuit of ever-deepening intimacy with Christ. The major factor we need to consider is that of Providence. Romans 8 comes to mind. God works all things according to His will, but He deals graciously and with love, care and affection for us. The enemy has many plans, but the Lord nullifies many of them, using the remainder as tools to bring wonderful outcomes to us. There was also protection. They were safe. As you are. Safe in God’s strong hand. You will face difficulty, but the end result is your salvation and your eternity is protected. Provision was something that would have comforted the prophets as they sat in the cave, aware of the intent of the wicked queen. It wasn’t much, but then they didn’t need much. We are not told how long the prophets were hidden in the caves for, but at least for them the bread arrived at the hand of one of God’s servants, rather than from the beak of a raven. And they were also provided with the most precious resource in Israel at that time, not gold or diamonds, money or clothing, but water. Ahab could barely find water for his donkeys, but the prophets got water. Here’s something else to consider before I tell you something awesome. Firstly, did Obadiah host the prophets in two separate caves because he couldn’t find one big enough for all of them, or was it a decision based on wisdom. What if Jezebel found out about his cunning ploy? At least this way some of his precious cargo of prophets may be spared? Add to this some more questions. What was going on in the cave(s) as they awaited the outcome? Were they calling on God, praying for protection, provision and God’s quick intervention and for the heart of Jezebel to turn from its deeply wicked path? Who knows. One thing is clear, it would have been very, very interesting – but God chose not for us to know. Here were 100 prophets that were aware of Elijah. They were prophets. They knew what it was to hear God clearly, distinctly. Some of them saw visions, others could hear the audible voice of God. They were a formidable group – learning from each other, inspiring each other. Even in their short time together the revelation of the Spirit as they interpreted dreams, events, words and circumstances would have been astonishing. They were real full-on prophets, but where did they go? What did they do next? What did they say and do as soon as they knew it was safe to leave? We don’t know. Perhaps as Elijah and Elisha wandered through the last few moments of Elijah’s ministry the prophets that gathered on the banks were these prophets. Their utterance and discernment is spot on. They know. But here is my final consideration for you and it is awesome, because again, it is possibly about you. One hundred prophets in two caves. Elijah’s ministry coming to an end. God is going to pass on the mantle of Eljah’s ministry a but who to? Which prophet out of those 100 will it be? The oldest? The boldest? The most influential or the least of the least? In God’s wisdom he chooses the one He wants, a man ploughing a field with 12 oxen. God’s choice can often astonish us, but this sends us a clear message. God can use you for something that you never dreamed possible or maybe even considered that you have no interest or time for. God has not finished with you – but He has also barely started either! Never, never, never give up trusting the Lord. He is always doing unexpected and amazing things. This is a one-off and doesn’t happen again, so don’t get duped by conferences you may pay to attend, or what you may aspire for – if God is calling you to anything, He will give you the power, wisdom, opportunity and ability to do it. Always.